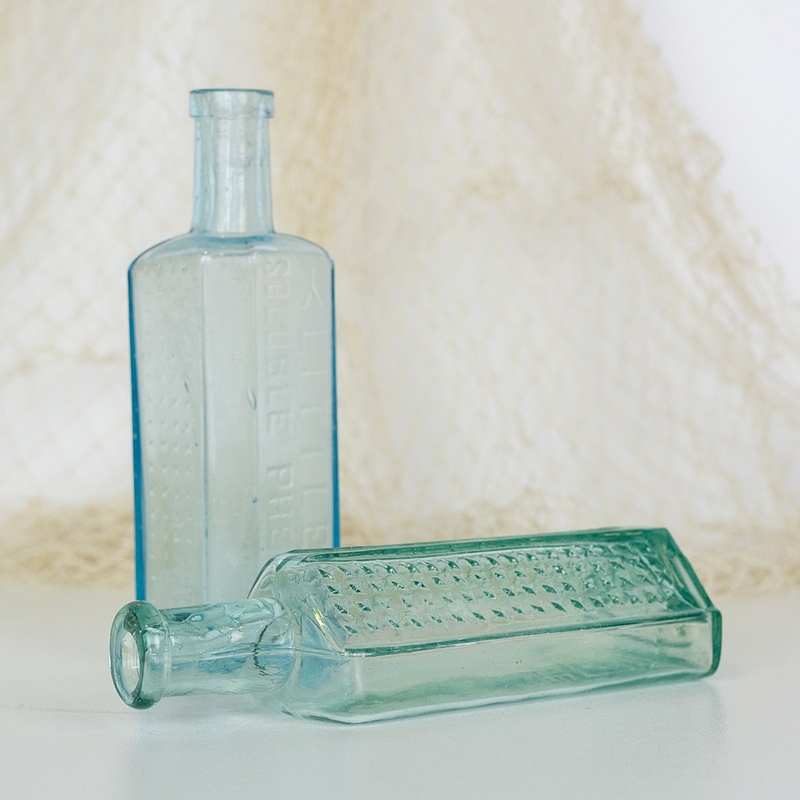 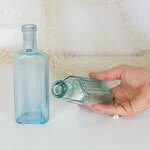 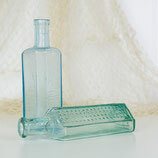 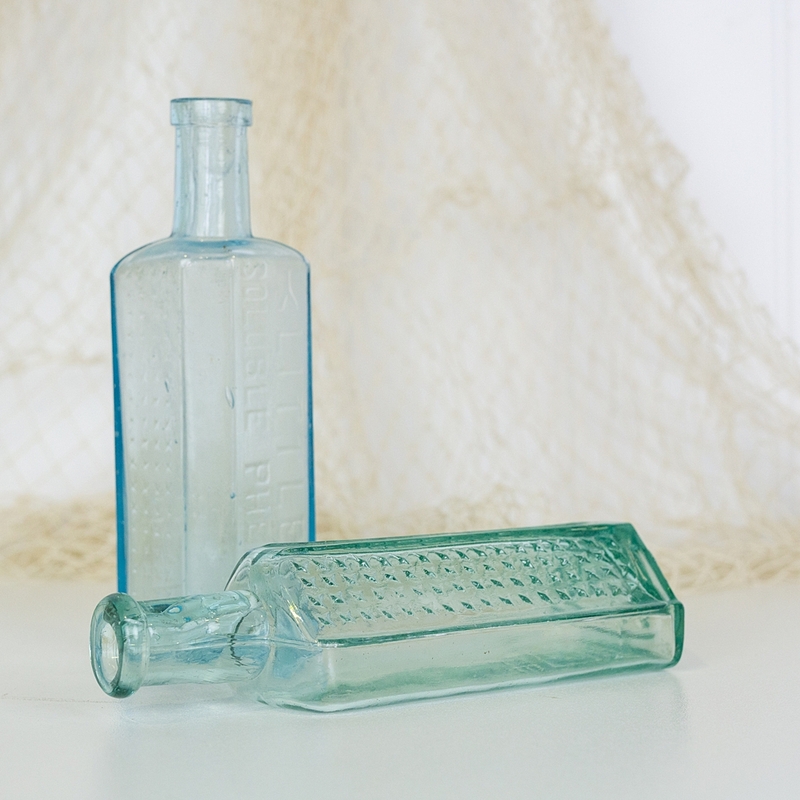 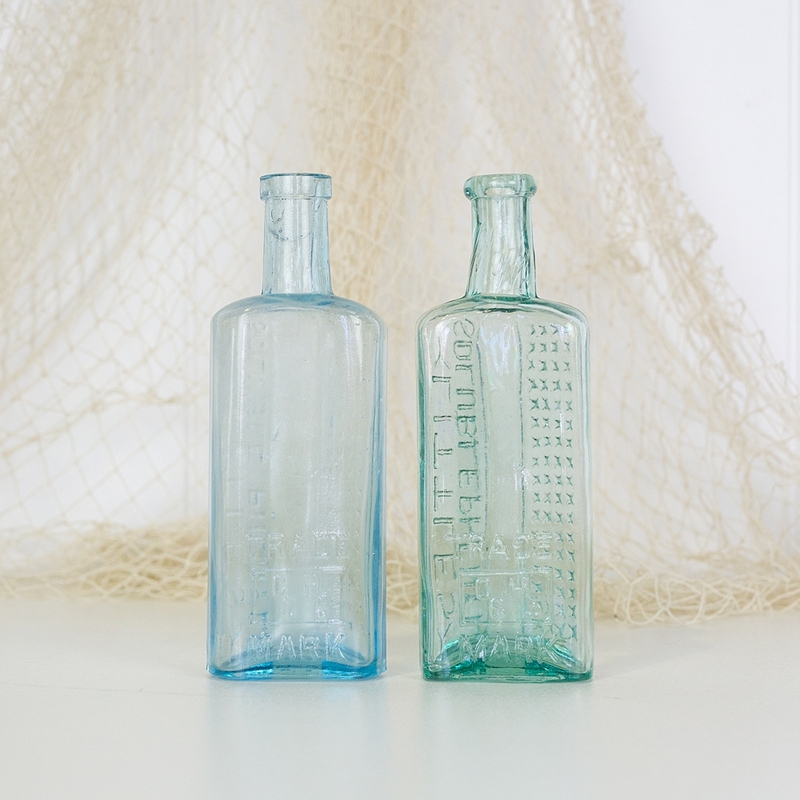 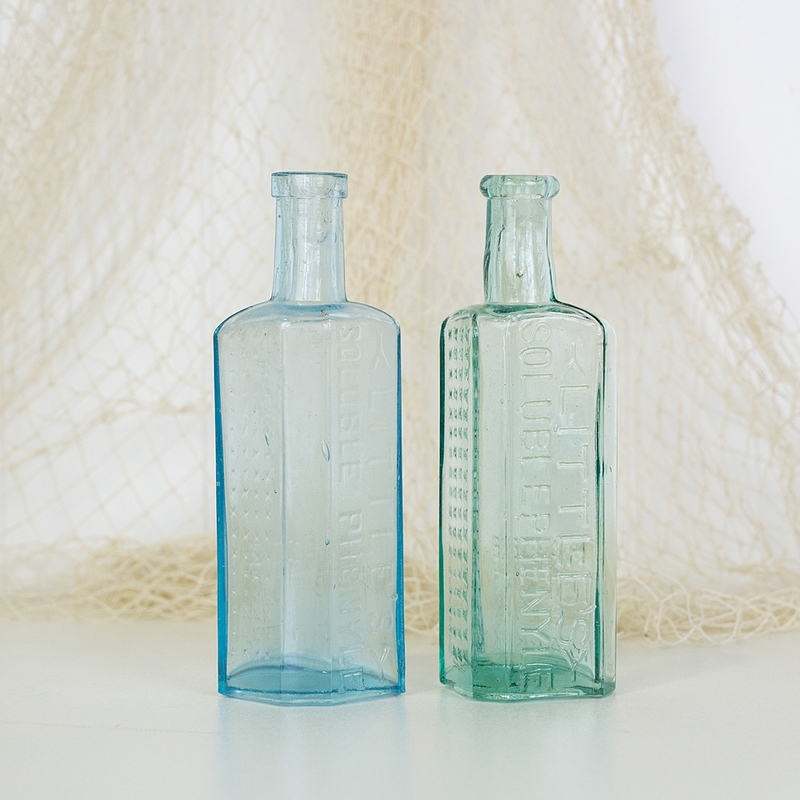 This pair of Little's bottles has an unusual triangular shape. 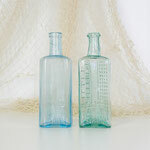 The soft blue and green tones of the glass work beautifully together. 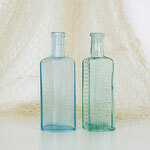 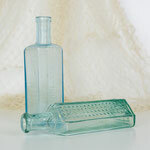 Old bottles make wonderful styling pieces, or little bud vases.